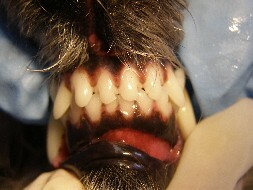 This is an example of black pigment on the gums of the dog. This is a much rarer occurence than when the gums are pink. 90 minutes for each dog.